Short on Time? Cardio or Weights? If you are on a mission to lose weight, the cardio is going to help you burn off that stored energy, otherwise known as body fat. The strength training can’t be skipped either, your muscles need to be stimulated weekly in order to promote proper growth and development so your muscles become stronger and shapelier. When you are short on time, the best way to get in your cardio and strength training is through what I call High Intensity Circuit Training (HICT). This type of circuit training involves high intensity cardio bouts mixed in with weight training. What makes this type of training great for people with little time, which is most of us, is that you combine your cardiovascular conditioning with resistance training. This will give you a total body workout. You’re not only burning calories and body fat, but you are also strengthening your heart and improving your muscular strength and endurance. High Intensity Circuit Training can be accomplished many ways with no equipment, minimal equipment, or with a fully loaded gym. My favorite way to train clients is by incorporating basic calesthetics with strength training. You must first get your heart rate up high, at the upper end of your target heart rate zone, in a short period of time, usually 45-60 seconds. Once the heart rate is up, continue on to a 3 to 4 exercise strength training circuit. For example, do 60 seconds of jumping jacks, then, with no rest, move on to 15 push-ups, then on to 20 jump squats, then on to 15 ball push-ups, then do 20 lunges. Repeat the circuit 2 more times. Now this is just a very basic example of HICT, but nevertheless you are accomplishing your cardio and strength training in a short, very intense period of time. I have several of my advanced clients doing up to 16 different exercises in one circuit and burning over 700 calories in 60 minutes (I typically have clients do three sets for each circuit). When choosing high intensity cardio bouts, you can’t go wrong with calesthetics such as jumping jacks, scissor jumps with jabs, squat thrusts, or mountain climbers. All of these will get your heart rate up very high in a very short period of time. The cardio bouts don’t have to be calesthetics. You can also incorporate cardio equipment such as the treadmill, elliptical, and stationary bike. However, I find that a high intensity cardio bout on a piece of equipment takes a little more time to get the heart rate up. So you might want to increase the time to 2-3 minutes rather than 45-60 seconds. You must be going as fast and as hard as you can on the piece of equipment you choose at the time. The weight training circuit following the cardio bout can be set up in a variety of ways. This is where you have to be creative and piece together a total body circuit, or just lower or upper body combinations or super sets. If you want to view some great examples of this, go to my YouTube Channel. There are currently 4 circuits posted that will guide you through a variety of High Intensity Circuit Training. High Intensity Circuit Training may not be for everyone. This is an option for more intermediate to advanced trainees that are short on time. However, beginners can go slow and at a lower intensity to accomplish such training. Remember to always check with a doctor or fitness professional to be sure this type of training is right for you. 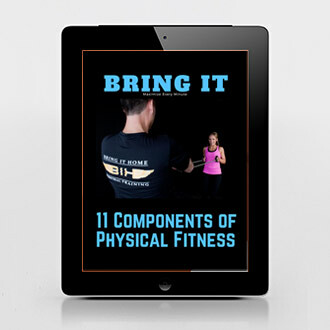 Your options are endless when it comes to High Intensity Circuit Training. The combinations of exercises for your entire body will continue to grow if you are thoughtful in setting up your circuits. So, don’t skip weights or cardio when you have a busy schedule. Take advantage of what little time you have to exercise and maximize every minute of your workout by doing High Intensity Circuit Training.